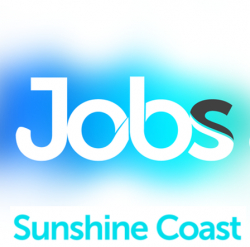 We currently have a vacancy for a Hotel Services Supervisor at The Ormsby Aged Care, our brand new world-class community in Buderim. As one of our very first employees, you will be instrumental in shaping The Ormsby’s culture and creating a warm, respectful safe home for our residents. At McKenzie we are committed to enriching the lives of our residents. Our family owned organisation believes in “Our Family Caring for Your Family” by employing professional, caring and compassionate people. We don’t just talk about great care – we deliver it. The Hotel Services Supervisor will be responsible for delivering a range of high quality cleaning and laundry services for the facility through the provision of effective leadership, supervision, support and coordination of the Laundry and Cleaning teams. Ideally you have the ability to work collaboratively with the team and across multiple disciplines internally and externally to deliver the highest quality outcomes for the residents and their representatives. A minimum of two years experience in a similar role with a background in aged care or hotel services. We offer successful applicants an outstanding workplace in beautiful surroundings, where our focus on learning and development means you can develop your skills and progress your career as part of an inclusive, dynamic team. If this sounds like you, and you have a genuine desire to work with the elderly, are compassionate with a sense of fun, then we would love to hear from you. To apply for this position please visit our website at www.mckenzieacg.com, click on the ‘careers’ tab, then ‘apply or view current vacancies’ and ‘sign up’ to complete the registration process. This is an excellent opportunity to utilise and develop your skills and be part of something special. Job Categories: Accommodation. Job Types: Full-Time. Occupation: Clerical & Administration.